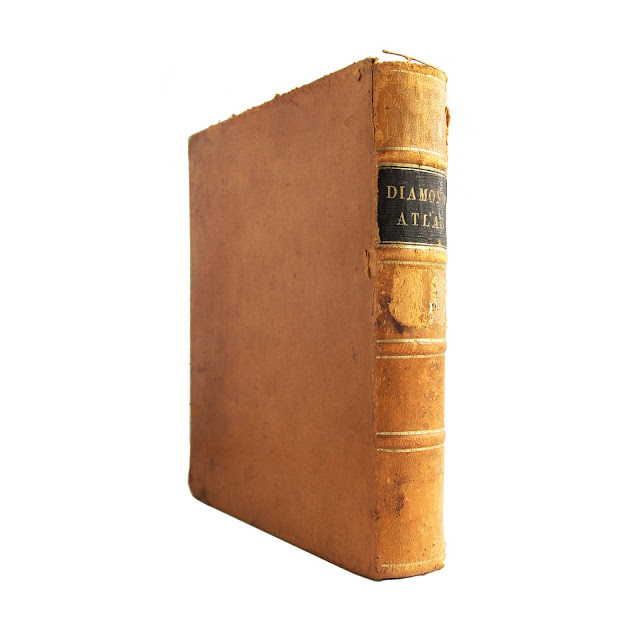 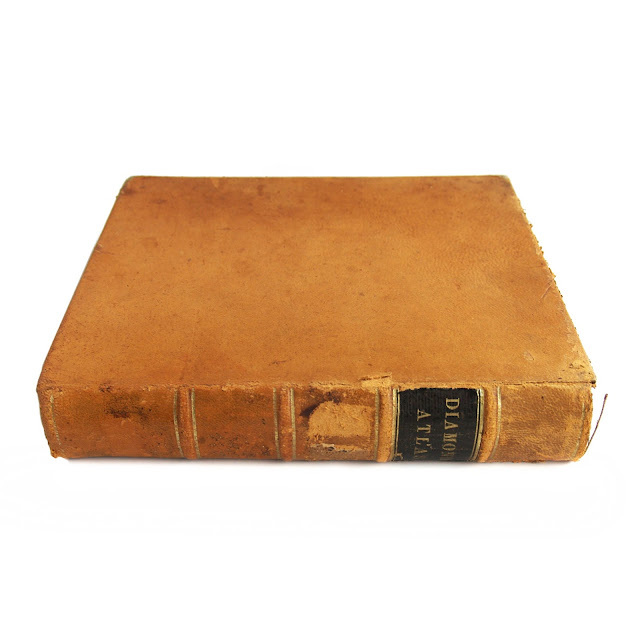 This antique hardcover book is bound in tan leather boards, with a black leather spine label and gilt spine lettering. 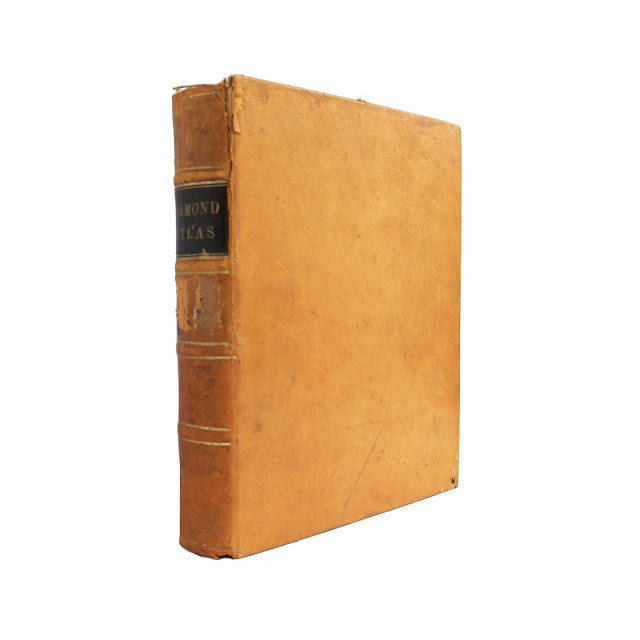 Some cover, edgewear; some chipping to top of spine; wear on spine where second label was removed; antique bookplate on front inner board; most inner pages clean and unmarked. 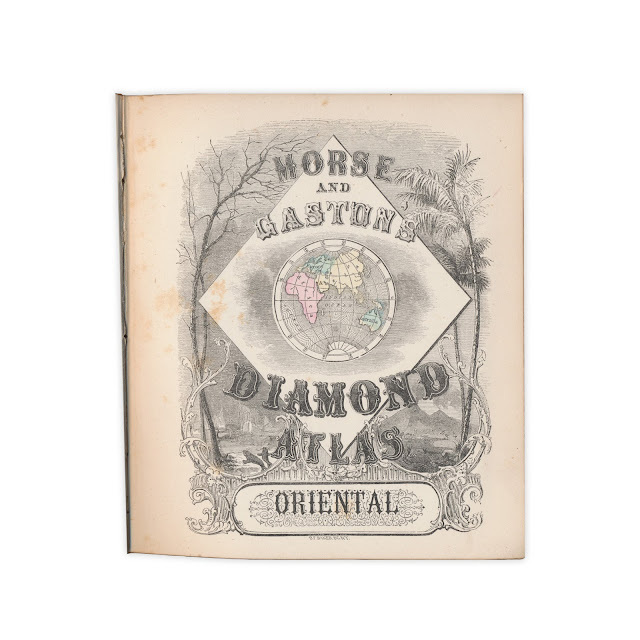 "The Diamond Atlas: With descriptions of all countries : Exhibiting their actual and comparative extent, and their present political divisions, founded on the most recent discoveries and rectifications," contains 31 maps of the Eastern Hemisphere. 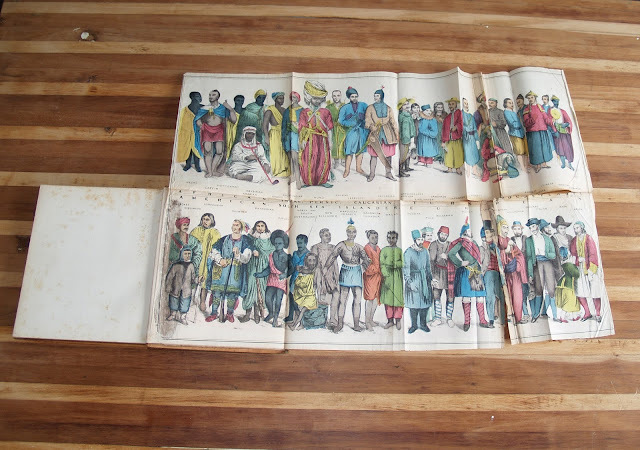 A large, colorful fold-out at the rear shows the traditional dress of various peoples of the regions described within. 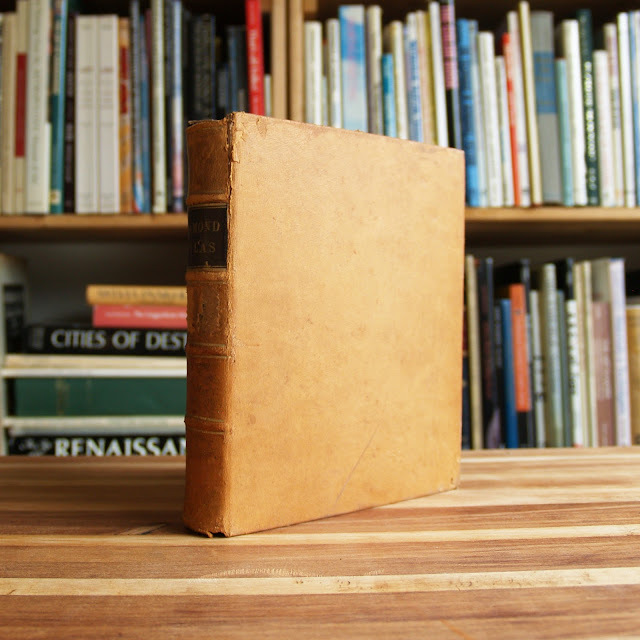 Foldout shows some damage, with bottom right panel almost loose, but the map is complete and intact. 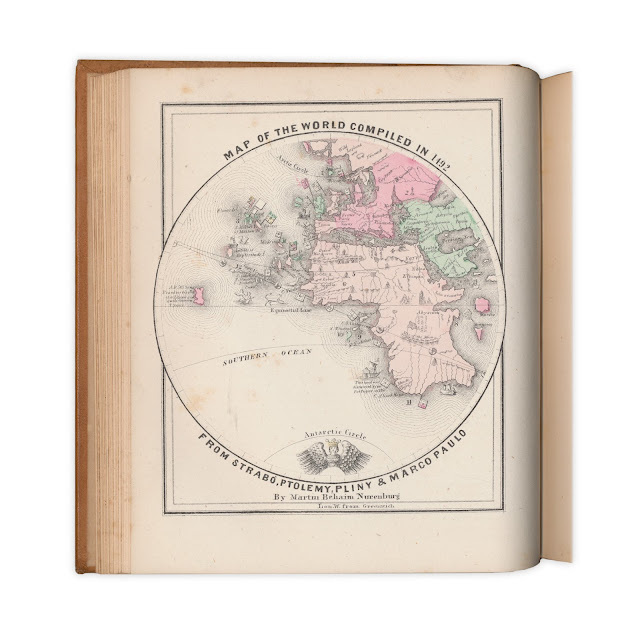 The book contains information about the economies, natural history and inhabitants of the regions depicted in the maps. 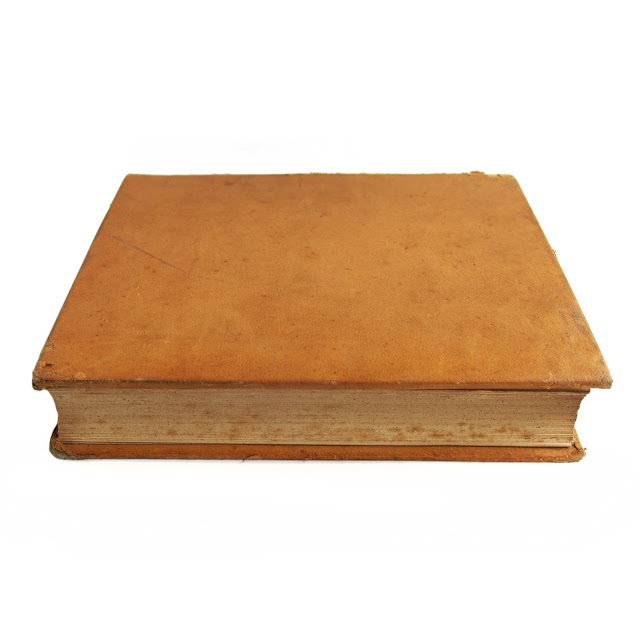 242 pages, including appendix; approx. 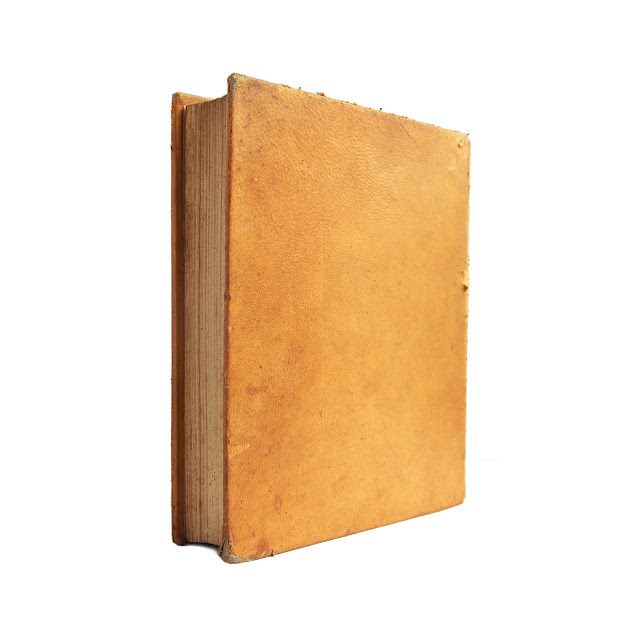 6.5"x7.5".